Lawmakers are starting to take a closer look at the price of insulin. Nevada became the first to pass a law last summer regarding transparency and Colorado may soon do the same. Stacey talks to Colorado State Representative Dylan Roberts about the bill he’s put forward and how it could change things. He also shares his very personal connection to type 1. In our Community Connection this week, adventurer and solo sailor Erin Spineto takes on a new challenge. She's making a comedy web series about T1D? We’ll explain what A Bad Case is all about. And Know Better this week about efforts to make the the Omnipod system part of the open source artificial pancreas project. On Facebook? Join our group of awesome listeners! 3:40 Catching up on previous guests: Stacey talks about the Diabulimia conference happening this November and announces that fitness coach Christel Oerum has become an American Citizen! What's this all about? Listen to a quick preview and then please subscribe! When you have diabetes, you have to think about food much more often than someone without. But sometimes, all of those food decisions, combined with pressure and perceived loss of control, can turn into a dangerous problem. This week, we tackle a tough subject, what many people call Diabulimia. Stacey talks to Erin Akers who says she developed an eating disorder that almost took her life as a teenager. She's fought back and founded the Diabulimia Helpline. In our Know Better segment, Stacey shares a study about the rise of T1D in adults in China. And, on a personal note, Stacey explains that leading a Bar Mitzvah service can be just as tough on blood sugar as playing a full game of football! How are those fitness resolutions going? This week, advice to stay on track and avoid common pitfalls from personal trainer and coach, Christel Oerum from Diabetes Strong. Christel has been living with type 1 diabetes since 1997 and she's passionate about strength training and healthy nutrition. (edited 3/5/2018) Christel is out with a new eBook, Fit With Diabetes. Click to learn more! 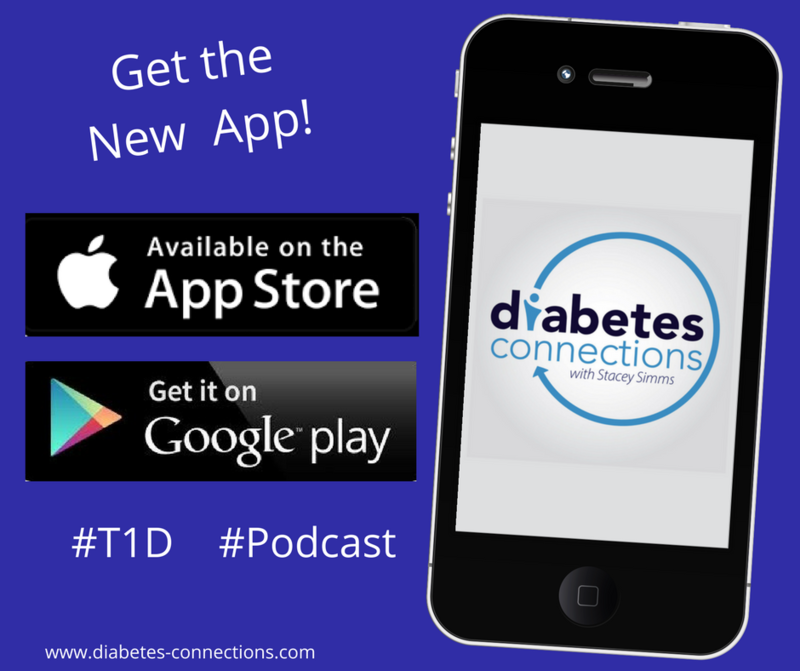 Also this week, we talk about the history of the A1C and why doctors started using it as a diabetes management tool. A little history in our Now you Know segment. Getting organized is always one of the top New Year's resolutions. But keeping track of everything that goes along with diabetes can feel like an uphill battle. This week, easy and actionable advice from Susan Weiner, the author of The Complete Diabetes Organizer. Susan is the 2015 AADE Diabetes Educator of the Year, a registered dietician-nutritionist and certified diabetes educator. Plus, in our new Now You Know segment, a look at the origins of the Apple Watch’s potential to monitor glucose. And Stacey's new year's resolution is to hear more of YOU in the show this year. If you have a diaversary, special event, fundraiser or just want to toot your own horn or sing someone else's praises, speak up!! Use this Speakpipe link to send your audio (you can re-record as many times as you like). 43:40 Send us your audio!